After almost six months of designing work, another five months of construction, countless bursts of temper, and being relieved of a small fortune, I am very proud to present my latest locomotive MOC. This time, it’s a 2-10-2T narrow gauge (760 mm) steam locomotive, class 600.76, of the Bulgarian State Railways (Balgarski darzhavni zheleznitsi, BDŽ). 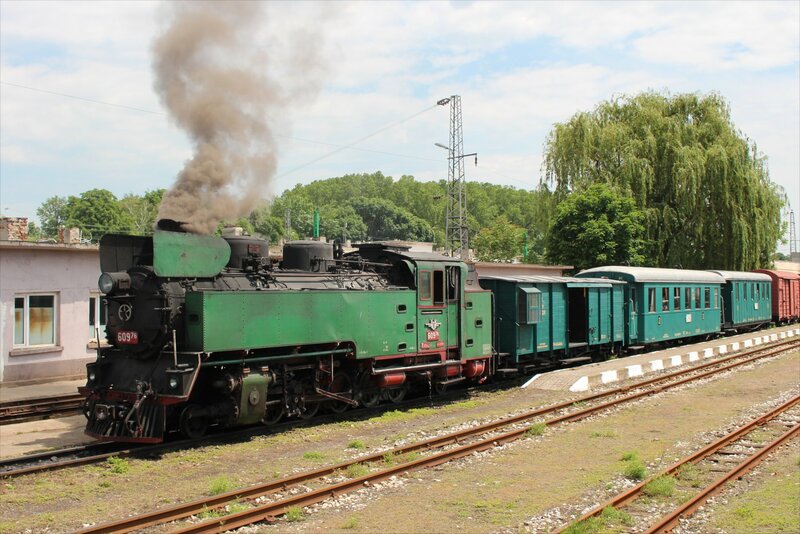 Basically an enlarged version of the German DRG Baureihe 99.73, the first five locomotives of the class were built in 1940 by BMAG (formerly L. Schwartzkopff) in Berlin for hauling all kinds of trains on the mountainous Rhodope railway from Septemvri to Dobrinishte. 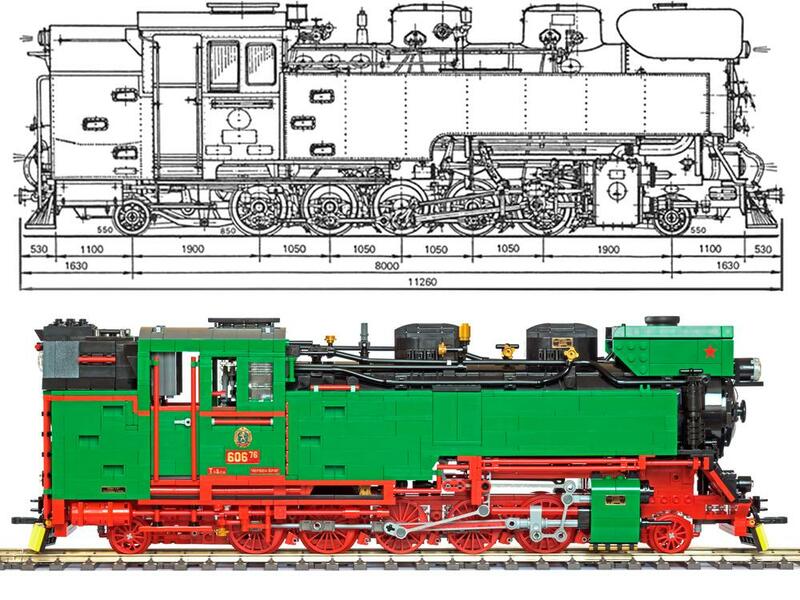 Delivering about 850 hp, the engines were extraordinarily powerful by the time’s standards for single-frame narrow gauge locomotives. They were so successful that the BDŽ were keen to acquire more, but after the Bulgarian Tsardom had turned into a communist republic at the end of WW II, it became almost impossible to buy industrial goods from German manufacturers. Thus another 10 engines were delivered in 1949 by Fablok in Chrzanów, Poland. 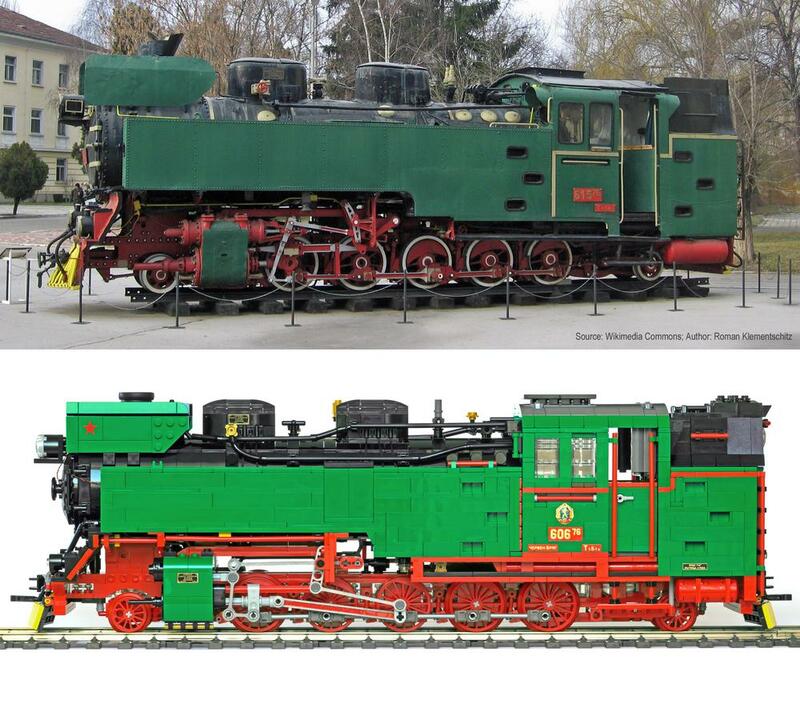 These Polish-built locomotives were technically identical to the original Schwartzkopff ones, but could easily be distinguished from the first series by the combined steam/sand dome casing and the odd-looking smoke deflectors, which seem quite ridiculous on an engine with a top speed of no more than 45 km/h! From 1966 on, after new diesel locomotives had arrived at Septemvri, all class 600.76 locomotives were relocated to Cherven Bryag in northern Bulgaria. Several have survived until today, albeit most of them in desperate condition. One engine – No. 609.76, however, is in operational state (now stationed in Septemvri again) and regularly used for excursion trains. My model portrays a locomotive from the second series as it ran in the late 1960s, some years after the whole class had been equipped with compressed-air brake and supplementary oil firing. 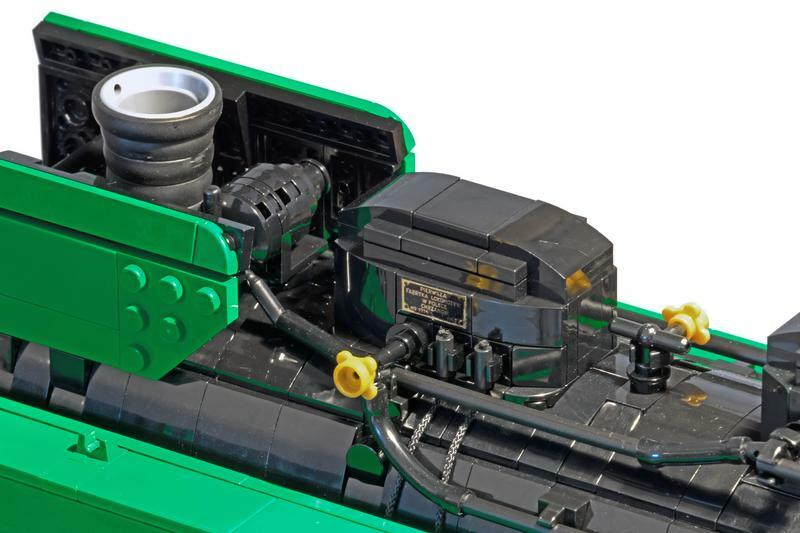 As opposed to the drawing, it therefore has a shortened right side tank (to make room for the air compressor), air reservoirs below the rear tank and an extended coal/oil bunker. The model is in accurate 1:22.5 scale except for the track gauge, which according to G-scale standard is always 45 mm regardless of the prototype’s actual value (as mentioned before, class 600.76 has 760 mm, or 33.8 mm in 1:22.5). Therefore, it matches LGB garden railway track and rolling stock. Dimensions and height of the coupling bars are designed in a way that they work with LGB link-and-pin couplers. 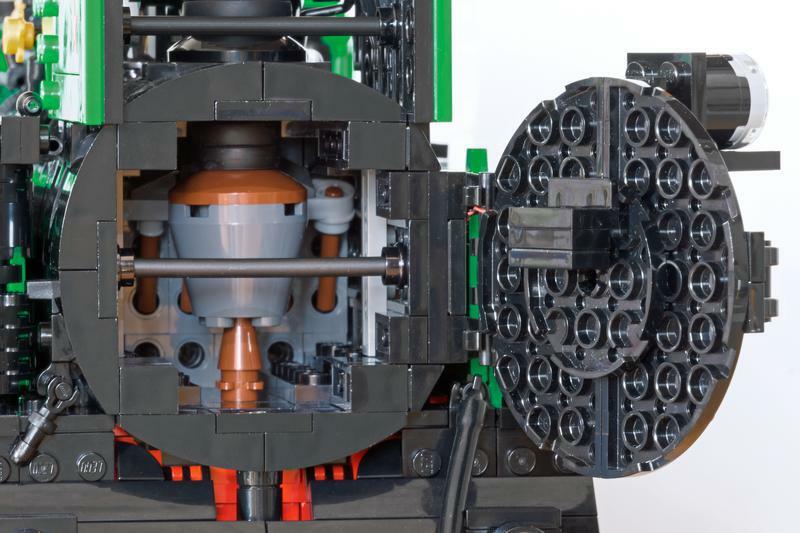 Three PF L-motors working on the central driving axle are responsible for propulsion, with the other drivers (BBB XL) being coupled by the side rods, just as in the real thing. One BuWizz brick allows to remote-control running direction as well as speed, and serves as a power supply for the lights (separately switchable front/rear headlights, combined cab & running gear lights). 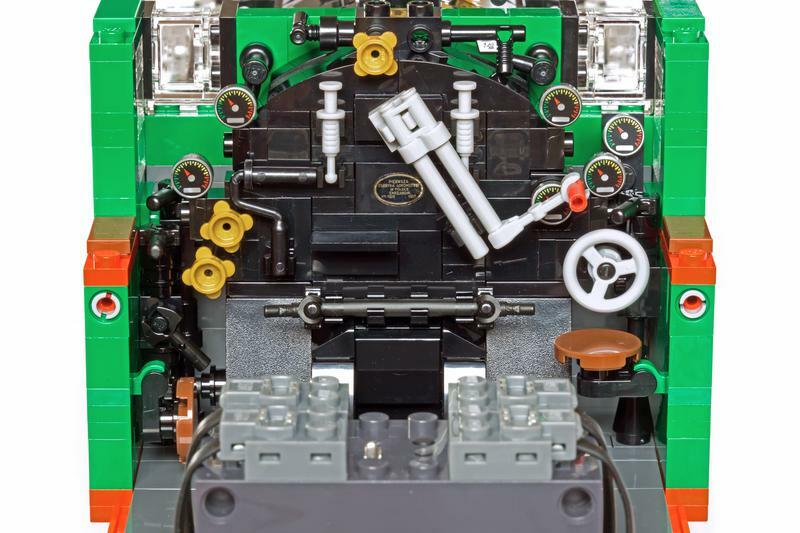 The LED equipment was purchased from Brickstuff; valve gear parts and main rods were supplied by zephyr1934. The running gear layout proved to be quite a challenge. The leading and trailing axle are of the Bissell type and can swing out by 9°. Of the driving axles, the second and third one are blind, while the fourth one is slidable laterally by +/- ½ stud. With this configuration, the engine is running stably on straight track, yet also able to negotiate LGB R3 curves and switches (1195 mm radius). The model consists of more than 3200 parts and weighs about 2.2 kg. Enough said – enjoy the pictures! Some views of the engine frame. For reasons of stability, I had to fill the prototypic cutouts with trans-clear plates and bricks. The leading/trailing trucks. 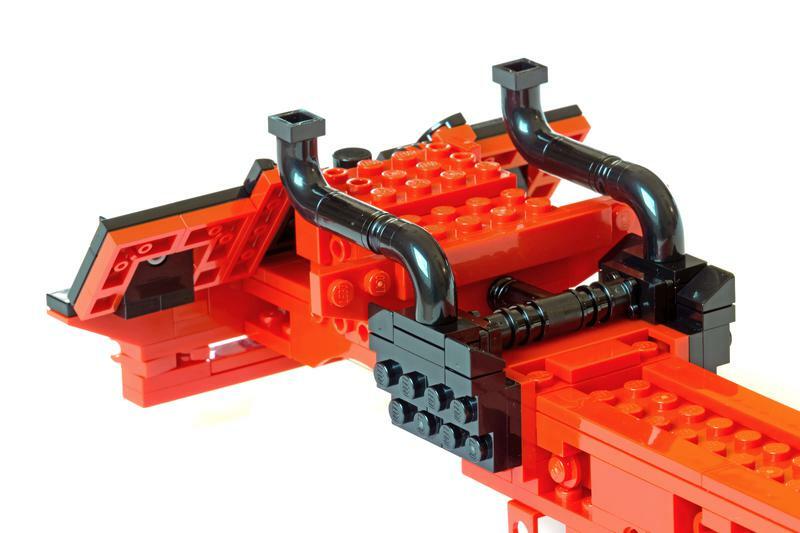 The tongue connecting the truck to the main frame is free from load, which means that it could be kept prototypically thin; the engine weight is supported by the axle bearings via the 4x4 tile on top. A short video, showing the valve gear in motion. Note that unlike many conventional model locomotives, the valve stem is really pushed back and forth. A video of the engine pulling an LGB G-scale train will follow as soon as possible. As always, you can download the lxf file here. 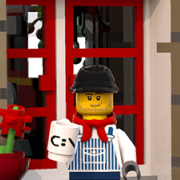 Also, more and much larger pictures can be found in my Bricksafe folder. Finally, I’d like to say special thanks to Sergio Monai, who with his fruitful feedback and proposals kept me stimulated to achieve the best possible result! Comments are of course most appreciated – thanks for stopping by! Blimey, that's a fantastic prototype. Every detail is well planned and executed. The frame, smoke box, Everything! You have built a great MOC and should be proud. Incredible model, absolutely amazing level of detail. All your models have been great, but it seems like you've managed to outdo yourself here! This model has friggin boiler tubes!!??!!? And complete brake rigging? And piping to the cylinders? And the most complete valve gear I've seen? And did you see that backhead... not a thing missing that I can spot? Then there are the extensive lighting system... WOW! 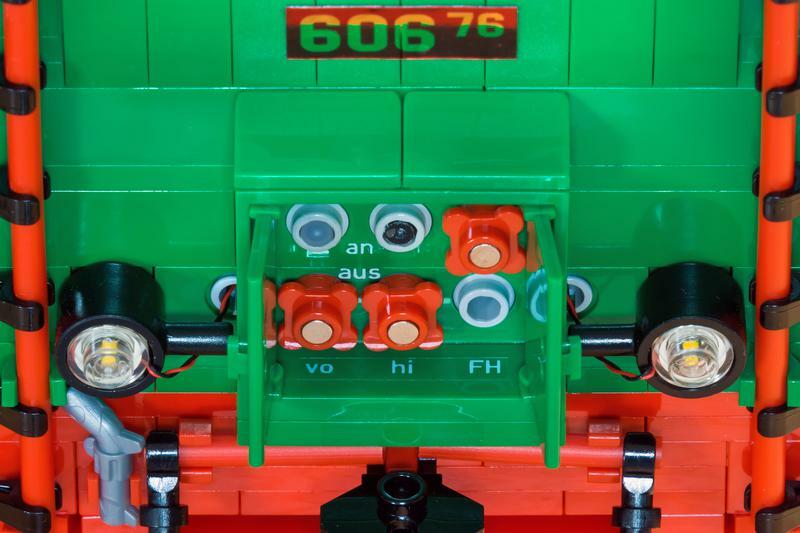 That is the most amazing lego locomotive I've seen in a long time. I think you deserve a mention on the front page. That detailed cab. Really well done with the wiring, nice and clean. 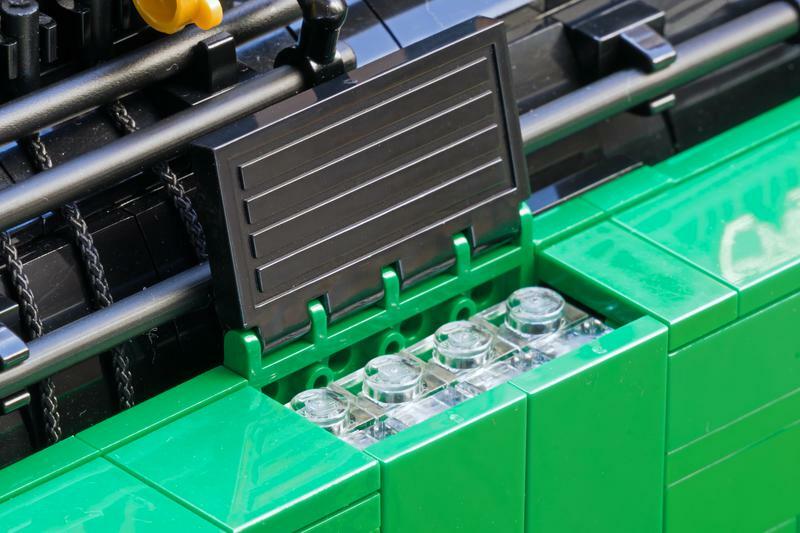 Also, love the fact that you have a very detailed water tank and combi bunker, which hides the charging port. Very well done! 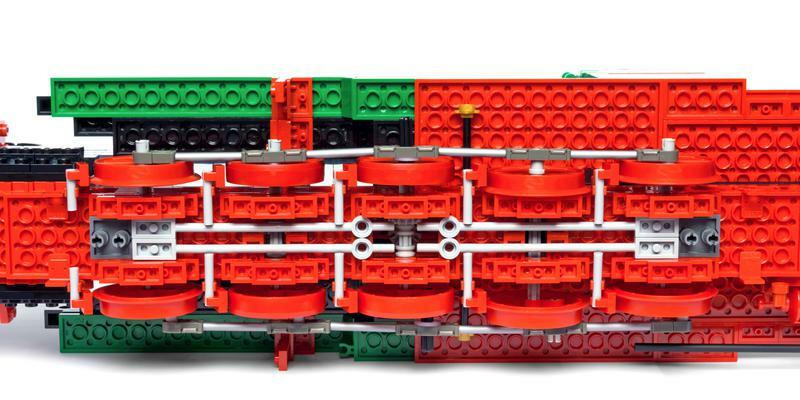 Dear Sven your creation is revealing not only your Lego skillness but also your great railway culture. You go over the normal playful passion for Lego (always necessary) and reach a museum documentation quality. I'm honored to be considered a friend in this cultural passion. It really shock me. This isn't Lego, it's artwork. Words cannot express my worship to you. 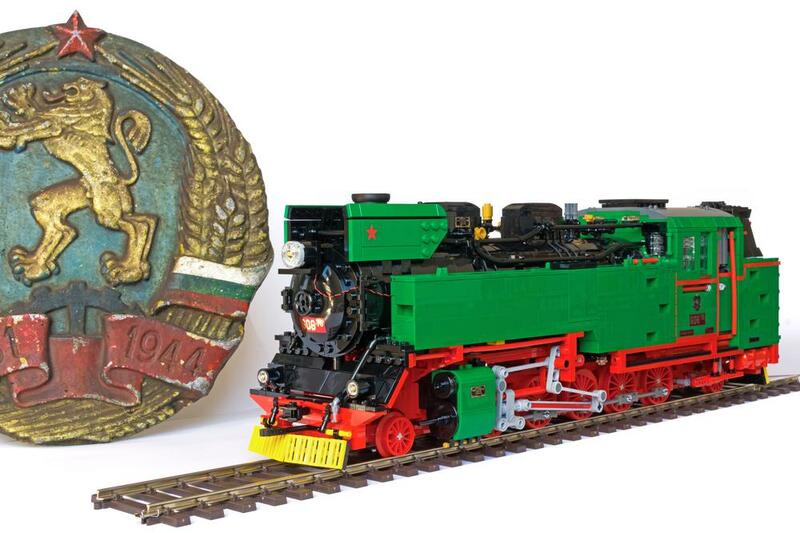 I think this is the most beautiful locomotive of your collection ...the problem is that your collection was already the best of all! You astonished us with a level of details that makes your masterpiece something that goes beyond the simple lego brick ...this time you've overcome yourself! What can I said of that cab? It looks like a real cab! I'm worried about you've spent a lot of money but I'm grateful to you for sharing this project with us. Now I'm afraid that your next locomotive will take a long time to be realized! 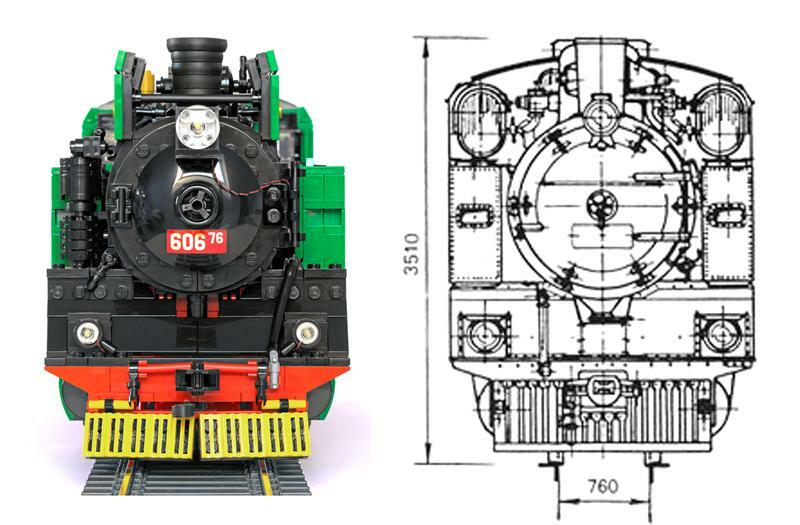 Last but not least the Walschaerts valve makes the steam engine even more complex and realistic! Correct also the graphic fonts you've used! 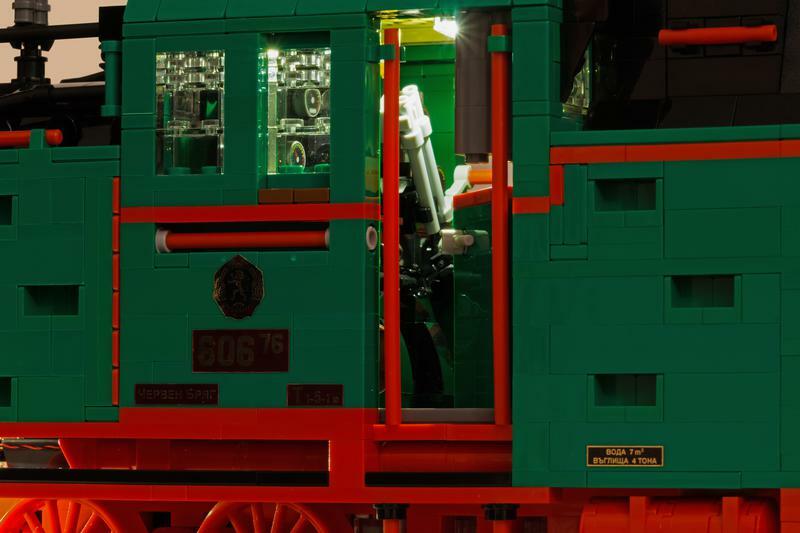 This is incredible, as ever from a master train builder... the details are stunning. I can't wait to see it in action. I think you deserve a mention on the front page. Definitely. @Jim, could you make this happen, please? I'm noticing (only now) that the front hatch of the boiler opening has the cable for the front lighting ...you're definitely sick! A thousand thanks to all of you for your compliments! I’m very happy that you like my model. You have built a great MOC and should be proud. @monai Sergio, did you notice that the cab doors do open this time? To item 1: I suppose you’re right – it’s incredible how expensive especially some of the green parts are. But new ideas are already forming. @JopieK Thank you for featuring my model on the front page! That’s a great honour. 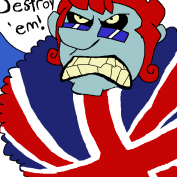 Thanks also to @Steamdemon and @ColletArrow for proposing the model for the front page. As for the promised video: When I started to make it this afternoon, I found that I had forgotten to recharge the BuWizz… Now that charging is finished, it’s already too dark for decent motion pictures. For the photos, I used exposure times up to 8 seconds, but obviously that’s not possible for making videos. So I think it won’t be until one of the next weekends that I can show you my beauty hauling a train – I apologise for that delay. Wonderful! Incredible level of detail! Great! truly outstanding work; the detail is extraordinary. Surely it's a shoe-in for the scale model sub-forum? It's in need of more locomotives! Beyond believe, simply beyond believe. BUT: The degree of detailing in your models is going way behind "generally speaking". First of all: Larger scale models become heavy and certainly stability becomes rapidly an issue. You not only solved that problem - you kept the "lightness" (if there could be any when talking about a steam engine - but I always have the impression that real world steam engines have some appearance of lightness ...) - and all your LEGO models are actually reliably running on track. But even further: Detailing on your models is breathtaking. You are building large scale models - but you push the limits of LEGO beyond believe in this regard. 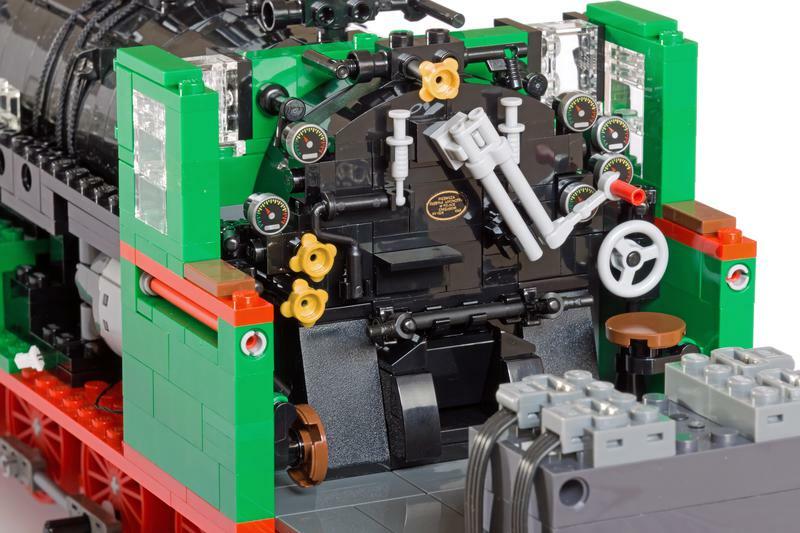 This is the most beautiful LEGO steam engine I have seen. I also believe that this should be cross-posted in the "LEGO Scale Modeling" Forum. For sure. 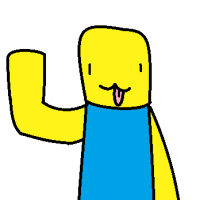 Thank you so much, Asper, bonox, asomemegablox and Toastie! Definitely there's a kind of lightness in the appearance of steam locomotives. 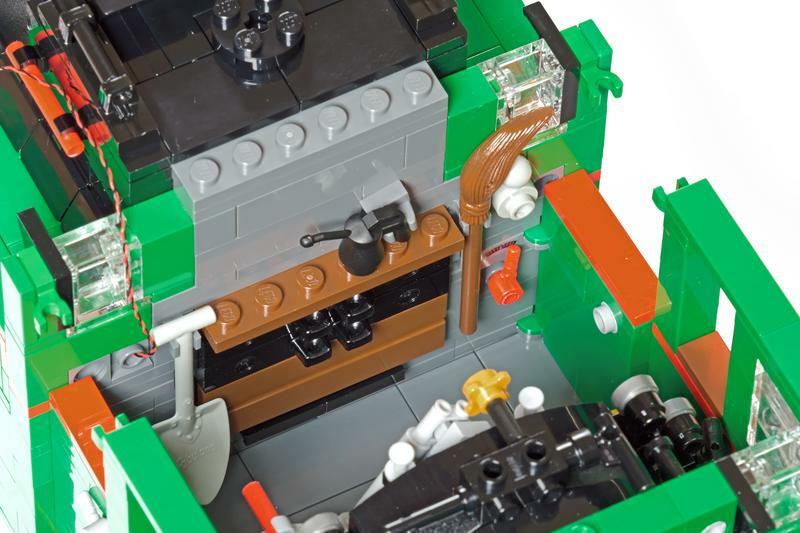 That’s why it’s extremely important to me to render the gap between boiler and frame correctly – although of course it would be much easier to stabilize the boiler with bricks underneath. Also, the frame itself should look as light as possible, I think. As for the Scale Modeling Forum: Personally, I would prefer the model to stay in the Train Tech Forum. Simply because I presume that it’s easier to find for the train enthusiasts here – maybe they don’t visit the Scale Modeling Forum too often. @Tenderlok That's a very interesting prototype, but please can you post some photos of your model for comparison purposes. Thanks. Sergio, did you notice that the cab doors do open this time? Yes I did, (finally) you got it. I wonder if the use of an alternative battery box has helped? 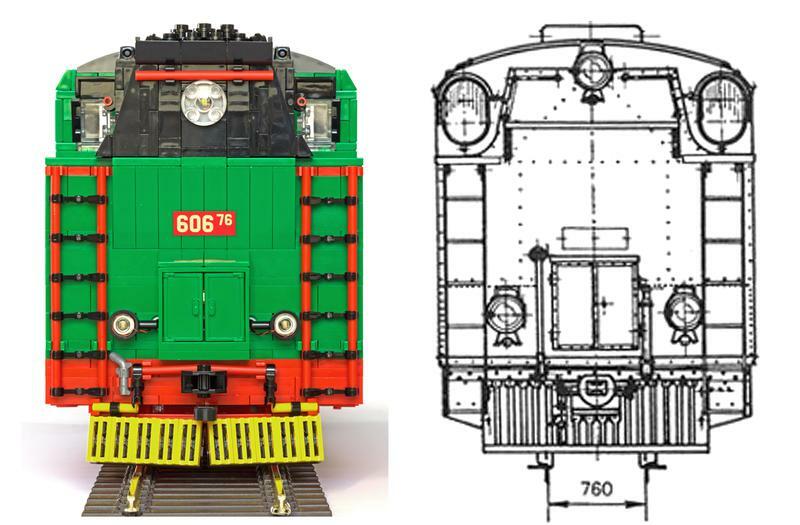 is it possibe that spaing the space for receiver could make easier to model the cab? That's a very nice comment. You made my day - thanks a lot for that! As a rule, yes. 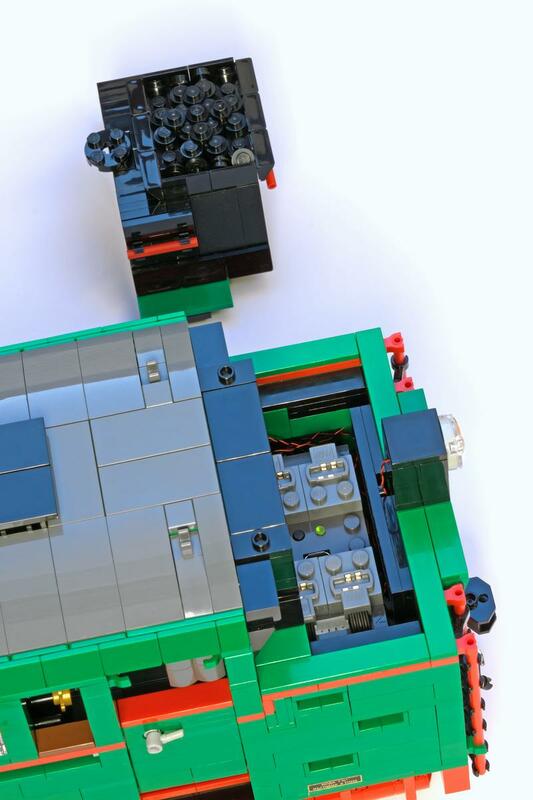 In this case, however, I presume that the rear bunker is large enough to hide a genuine LEGO battery box + receiver. 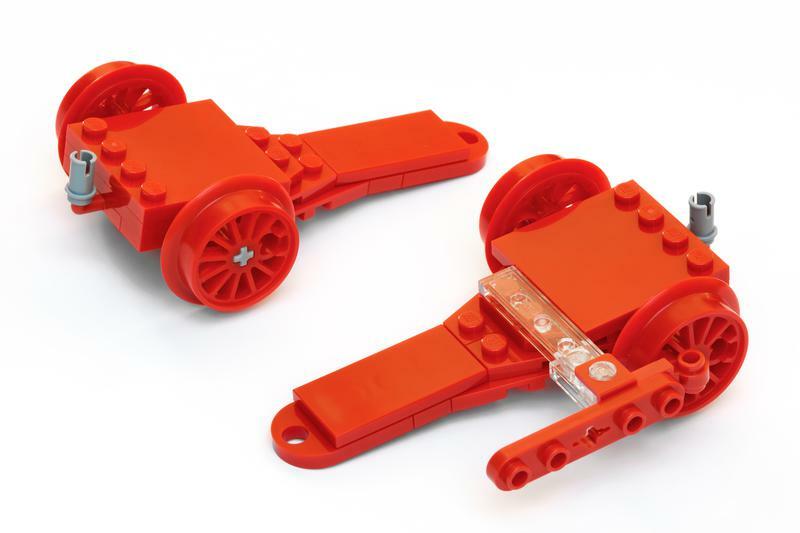 I chose the BuWizz because it allows a more precise control and, especially, because the LEGO elements would not have been able to power 3 L-motors. Absolutely amazing model! Many compliments! And this was after seeing the picture on the Frontpage; now seeing the functionalities makes it even more special. Keep it up! Tenderlok, superb job. Well done. Proud of seeing a national history train as a Lego Masterpiece. WOW! 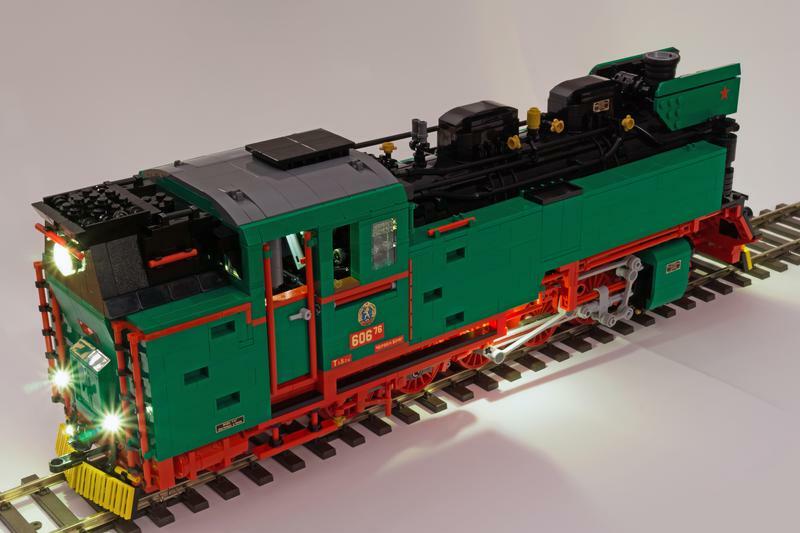 That is the most amazing lego locomotive I've seen in a long time. 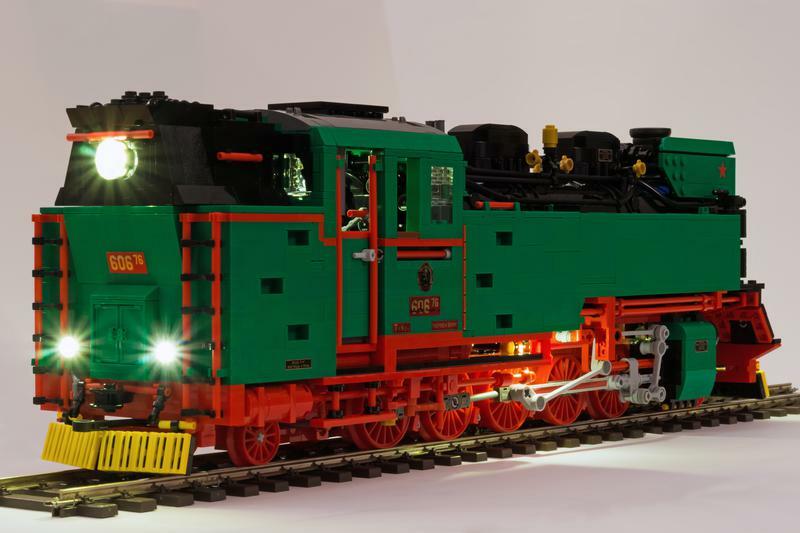 That is the most amazing lego locomotive I've seen in a long time. You mention magnetic switches. Where did they come from and how do they work?